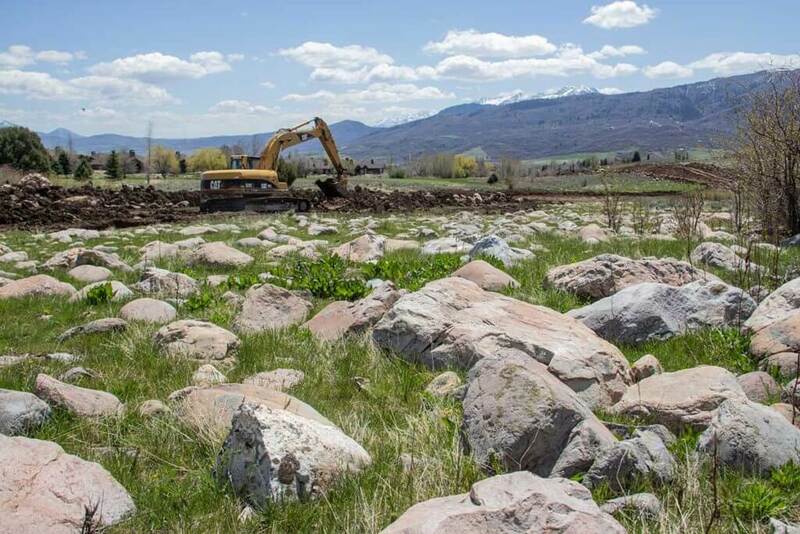 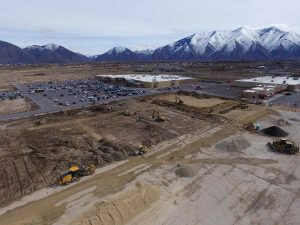 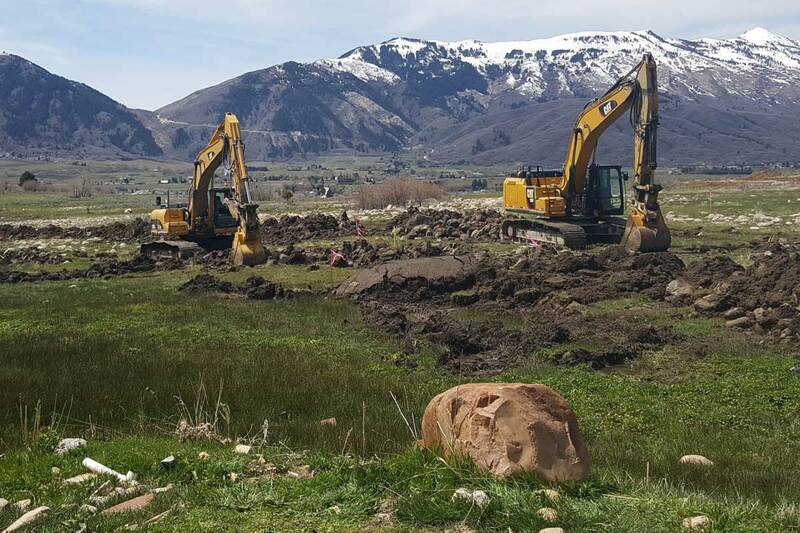 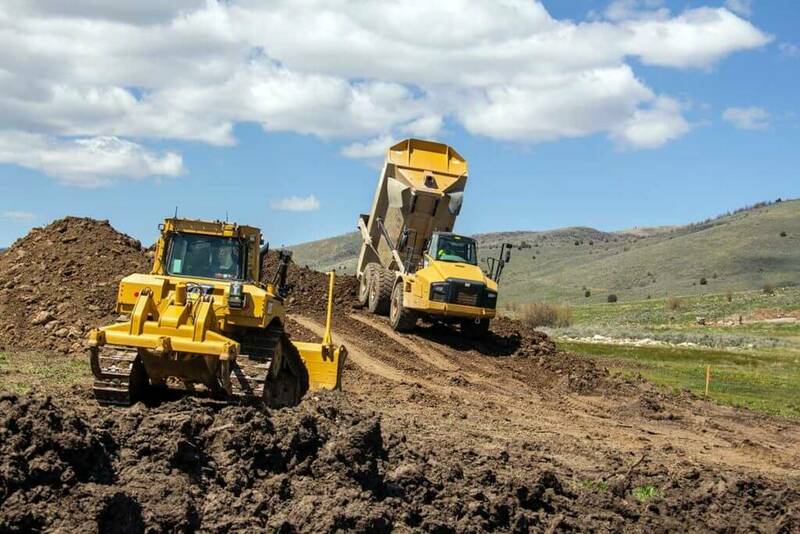 This project is a new 31 lot subdivision development named Eden Escape in the Wolf Creek community in Eden UT. 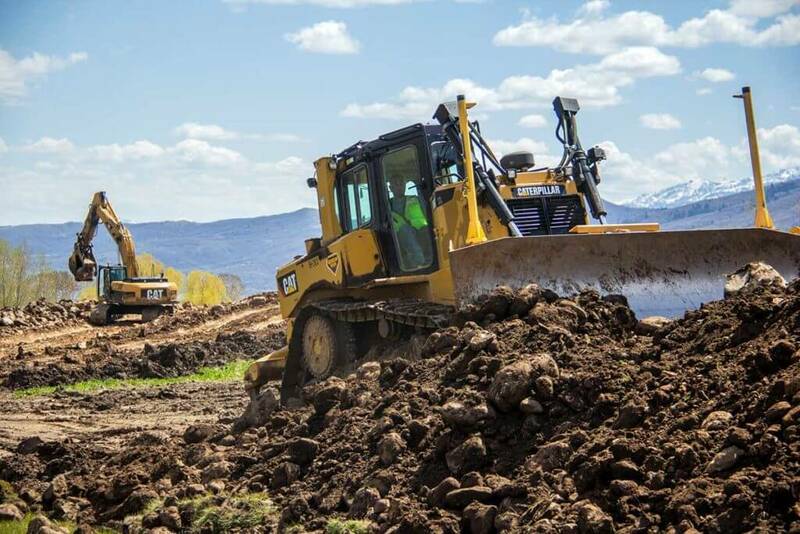 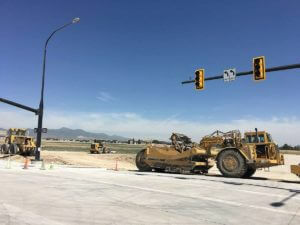 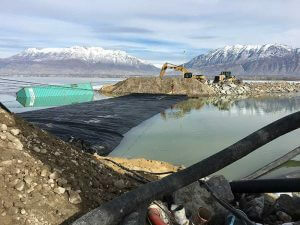 Work on this project includes 8700 yards of roadway excavation, 2500 linear feet of 8″-10″ sewer, 3900 linear feet of 8″ waterline, 660 linear feet of storm drain. 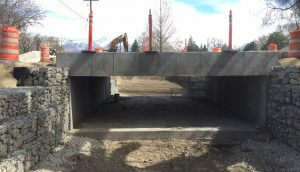 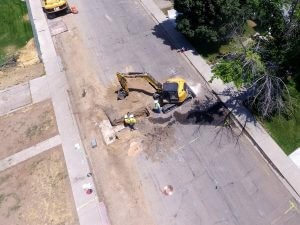 Other work on this project is includes installing curb and gutter, topsoil placement, and asphalt paving. 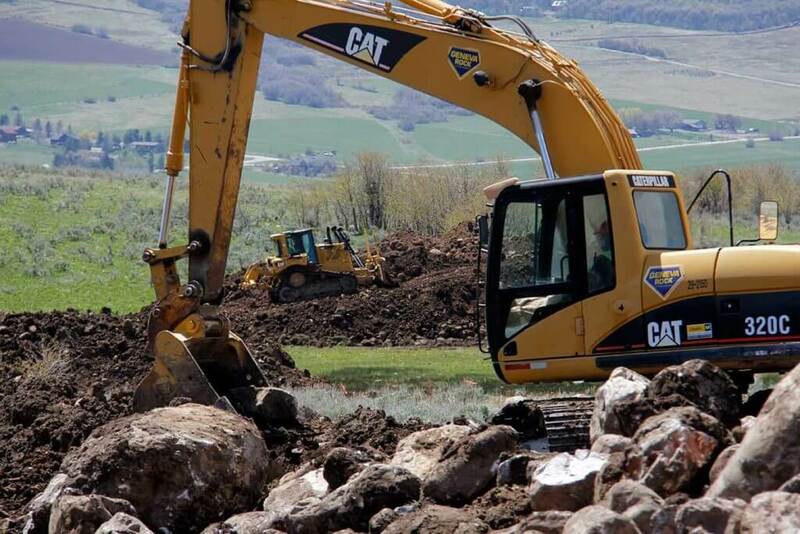 Geneva Rock will also use a mobile crusher to crush onsite material to use for the sub base in the roadway. The excavation on this project has been a little challenging for this project as the entire site covered with huge boulders. 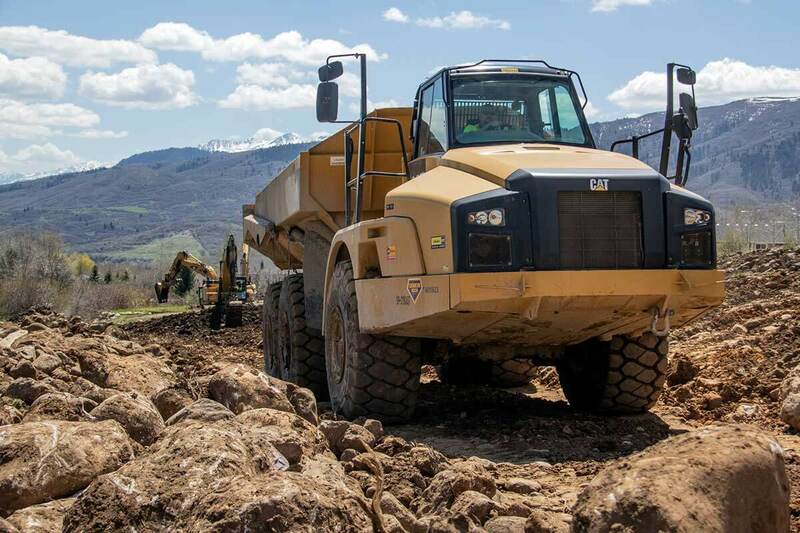 Geneva Rock has been able to work with the owner to come up with the solution to use a mobile crusher to process this material so it can be used onsite as sub base in order to eliminate hauling off this material.